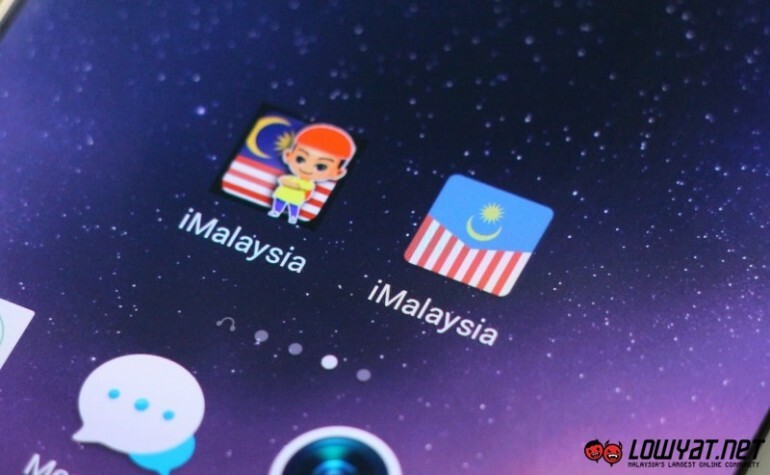 In conjunction with this year’s Merdeka Day and the subsequent Malaysia Day in September, the Ministry of Communication and Multimedia (KKMM) as well as the Multimedia Development Corporation (MDEC) have recently launched a set of app and game called iMalaysia. Made possible by local developers that are part of MDEC’s Integrated Content Development Programme, both apps are now readily available for Android and iOS. The iMalaysia game is essentially an infinite runner title with a visual theme that is inspired by iconic and historic locations across Malaysia together with a touch of historical facts about the nation. 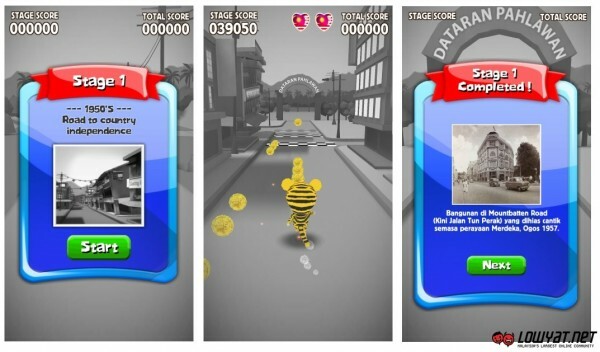 Just like other titles in the genre, players are required to avoid the obstacles in the game and collects coins (comes in the form of Malaysian coins) that served as the score for the game. In order to keep track of their scores and progress, players will have to first link the game with their Facebook profile though. The purpose of the tracking is because players will have the chance to win a holiday package worth RM 10,000 for being the top scorer in the game from now till 30 September 2015. Additionally, there are also three PlayStation 4 as consolation prizes up for grabs as well. On the other hand, the iMalaysia app served as a one-stop centre for all information regarding the Merdeka Day and Malaysia Day celebration. Such information that are available through the app include related events, promotions and sales activities through the celebration period. Users are also able to catch live webcast for selected events and send in their Merdeka Day or Hari Malaysia wishes. 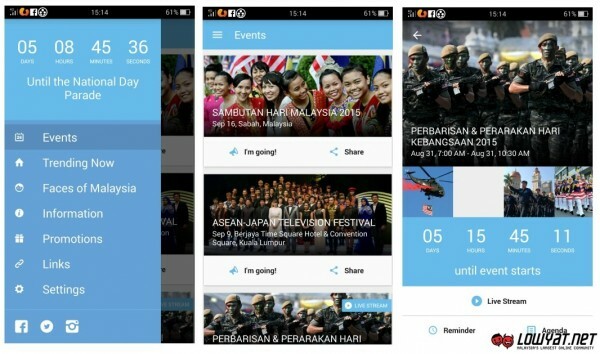 For further information regarding these apps, head on to Merdeka Day’s official website over at 31Ogos.my.